Emma McKenzie was born in Mexico City and received her education in Mexico, South Africa, and in the US. She has lived in several cities of the US, Mexico, South Africa and New Zeland, which together with her educational training, she thinks has broaden her perspective of life. After training in Japanese Ryodoraku acupuncture, Traditional Chinese Acupuncture and pharmacology, Iridology and naturopathy, in 2007 she traveled to China for more training in acupuncture. Her training includes pain management, internal medicine, stress and emotional related issues, constitutional facial acupuncture and auriculotherapy. Emma uses AcuGraph5, a modern version of Japanese Ryodoraku acupuncture in the US. 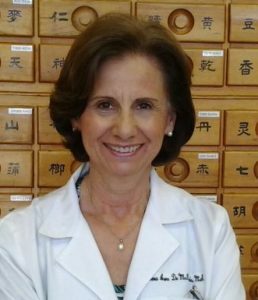 AcuGraph is a comprehensive, advanced imaging scientific program which she incorporates into her practice to balance the acupuncture meridians. Her patients love the idea of being able to see on a computer screen, their imbalances in their acupuncture channels and their progress through therapy as their energy is balanced.